Damask rose (Rosa damascena): growing, planting, caring. 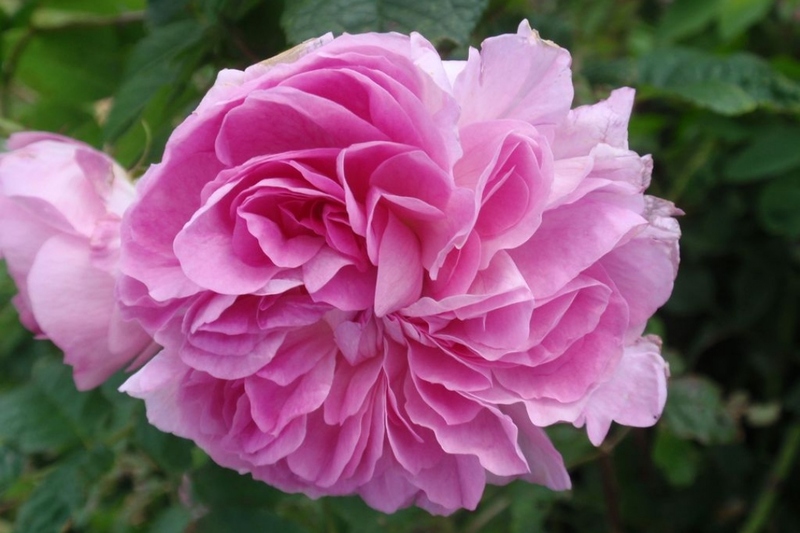 Robert de Brie is given credit for bringing Damask roses from the Middle East to Europe sometime between 1254 and 1276, a natural hybrid (Rosa moschata × Rosa gallica) × Rosa fedtschenkoana. 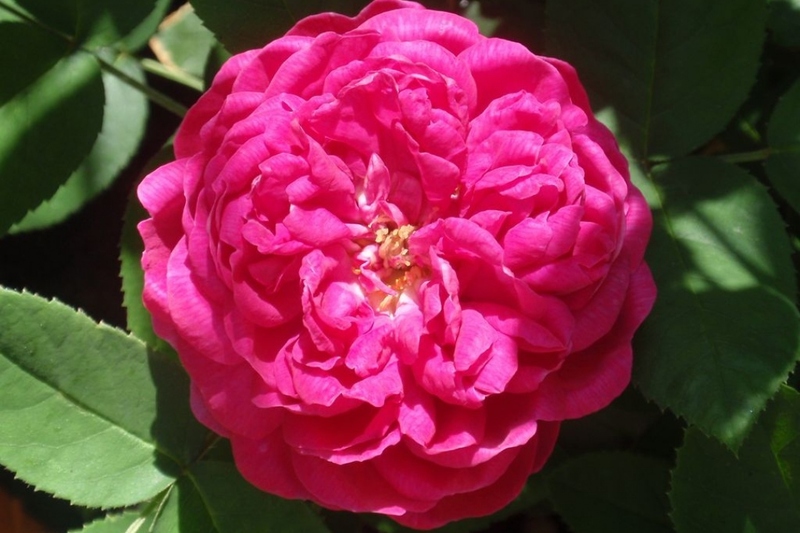 Damask roses tend to have rangy to sprawling growth habits and strongly scented blooms. Summer damasks bloom once in summer. Autumn or Four Seasons damasks bloom again later, albeit less exuberantly, and these were the first repeat-flowering European roses. Popular cultivars include 'Ispahan' and 'Madame Hardy'.